You are browsing the archive for ACR. 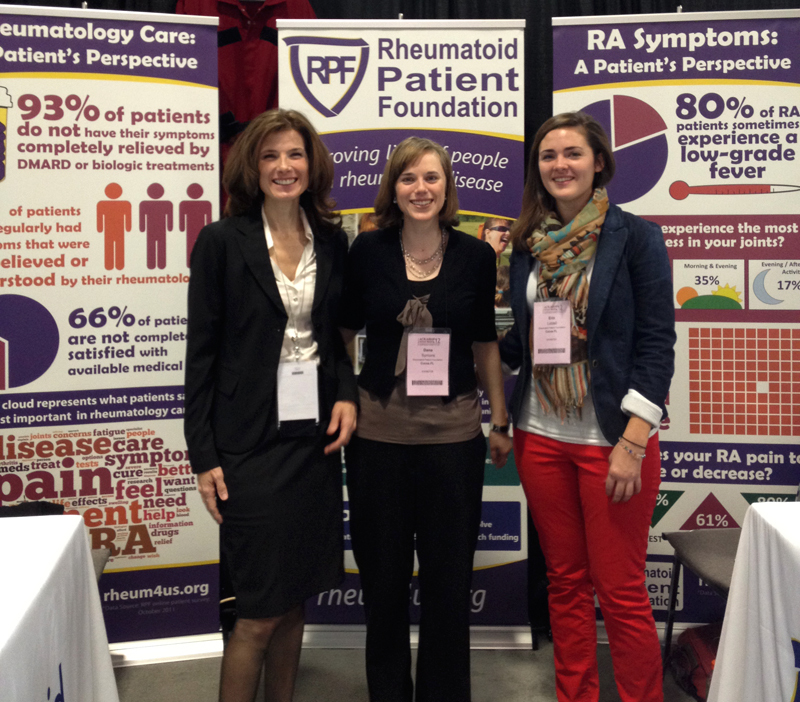 RPF member Melinda Hansen reports on what she learned recently at the American College of Rheumatology scientific meeting. 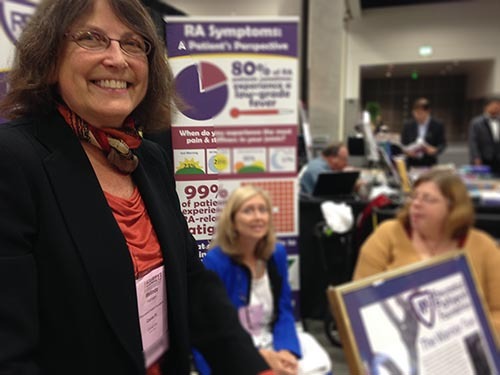 Between posters, exhibits, and actual sessions, there are hundreds of interesting topics covered, and Melinda brings us a summary of several topics important to people living with Rheumatoid Disease. So much to be learned at ACR! I attended talks on a wide range of subjects, from an overview of RA treatment in 2013, to safety issues with current therapies, to current osteoporosis management, to inflammatory eye disease, to use of medical marijuana. This is my own subjective view of some of the important issues from this year’s meeting. I had a lovely start to my first day, going to a talk not by a rheumatologist, but by a linguist. She discussed the importance of letting patients tell their stories, in their own words, at their own pace, and said that when the provider frequently interrupts or has eyes glued to a computer screen, patients do not feel they are being heard. She also noted that since the experience of pain is not objectively measurable, clinicians need to trust what patients tell them. The growing importance of patient-centered research was mentioned in a number of talks, which is due both to an increasing awareness that yes, the patient is a rather important part of the equation – but also because health care providers are increasingly being expected to demonstrate patient outcomes. This is great for patients, and this is an excellent time for RA patients to provide the patient point of view through greater involvement in research projects. JAK inhibitors – tofacitinib (Xeljanz) is the only drug in this class currently on the market – are important not because they are better than other drugs, but because they offer an alternative for people who do not get better on current therapies. There are safety issues, however, and the drug is not approved in Europe because of uncertainty about risks versus benefits. The search for new JAK inhibitors targeting different pathways, with fewer adverse responses, was a hot topic and an area in which there is a lot of current research. The science of biological research and genetics/genomics is quite complex, but what I am understanding is that as the field of medical genetics continues to progress, it may in the future be possible to better match an individual’s biochemical makeup with the drug most likely to target and treat it. This topic got huge attention throughout the meeting because of a study presented which compared triple therapy, usually with hydroxychloroquine (Plaquenil), sulfasalazine, and methotrexate to biologic therapy, with a drug like etanercept, usually also given with methotrexate. The question: how to start treatment in a patient newly diagnosed with rheumatoid disease. The speaker arguing for triple therapy said it is based on a “3-legged stool of value” of efficacy, toxicity (more infections with biologics, for example), and cost; the speaker from Sweden argued that physicians should be look at clinical outcomes, not cost; the speaker from the U.S. counter-argued that that he is living in a dream world! It was a lively discussion. Other issues with triple therapy were discussed. The biologics are known to have a rapid onset of action, leading to patients obtaining results more quickly. Starting two or more drugs at once means not knowing what is causing any adverse effects that might occur, but when starting step-wise, one at a time, there can be many months of delay, since the triple therapy drugs are often much slower in onset that the biologics. Traditional RA blood tests can be normal even with active RA This causes problems with diagnosis and treatment decisions. The hope is that newer tests such as the Vectra DA (and others being studied), by looking at a much wider range of biomarkers, can provide a better way to monitor disease activity and possibly help guide therapy selection. Vectra representatives emphasized that their test is not meant to be used for initial diagnosis. New information from the makers of Enbrel: although refrigerator storage should still be “standard practice”, Enbrel can be stored at a moderate (but not hot) room temperature for up to 14 days. This is great news when trying to keep the drug cool while traveling. Of course, everyone should check with her / his pharmacist. For reasons related to the complexity of biologic drugs, there will not be generic copies, but “biosimilars” for the RA biologic drugs: not identical to the original, but thought to possess the same properties and effects. A biosimilar for the RA drug Infliximab (Remicade) has been approved in Europe, but not yet in the United States. Most seem to think that the biosimilars may make the biologic drugs more affordable, (although this may be less than hoped, especially in this country) but that they will need to be used carefully, with close monitoring for any changes in clinical outcome. The traditional way to evaluate response to treatment looks at what is called ACR20, ACR50, and ACR70, which means symptoms are 20%, 50% or 70% better. I was happy to see that more researchers are looking at 50% and above, together with clinical symptoms. Although there are days when I would be glad to feel even 20% better, it seems a weak measure of clinical improvement, given that for many of us, our symptoms can vary greatly, even without medication. To read more on Melinda’s experiences at ACR – click here. 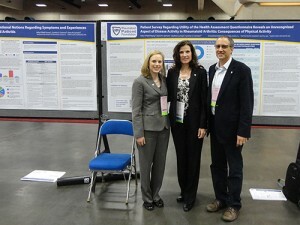 I’m glad to share about my experiences from a volunteer perspective at the 2012 American College of Rheumatology (ACR) Annual Scientific Meeting last week. 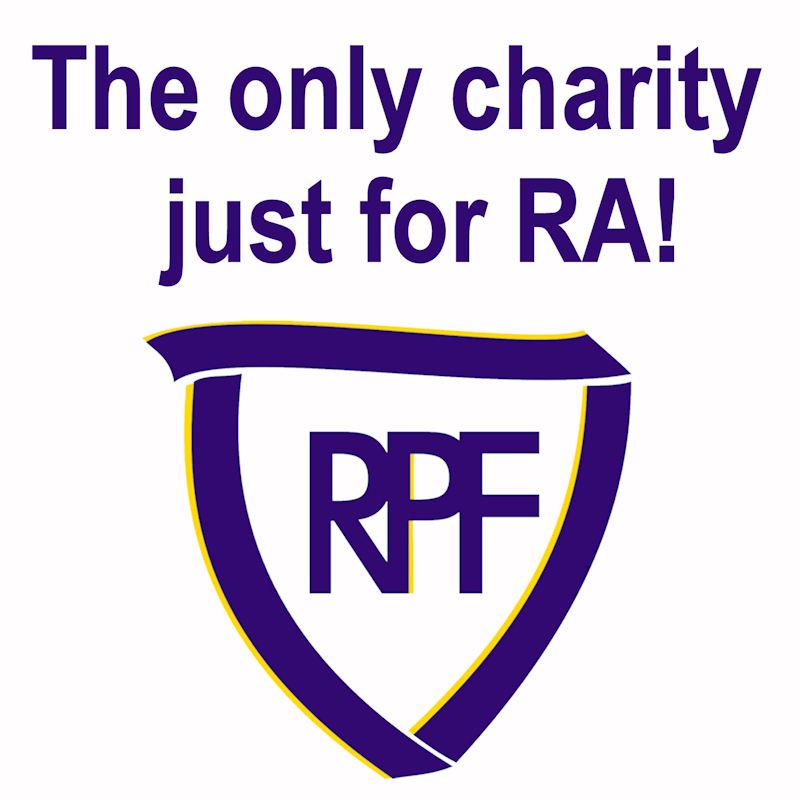 The Rheumatoid Patient Foundation (RPF) needed to present ourselves, speaking to people from all over the world that held jobs from doctors to researchers, who studied effects from sociological to pharmacological. It also was a little overwhelming because there were so many things going on and you want to see and do everything. This year it was even bigger in scope as far as the venue went. It encompassed two buildings and there were multiple floors. There was minimal directional signage and minimal seating. There was another very significant difference in my attendance this year and that was the intensity of my own disease. Things that I was able to do last year without a second thought required so much more physical and mental effort, bringing to me the realization that I should have taken that stubbornness against getting a cart to use at the venue & checked it at the front door, but that’s another story. Just flying home from there was not without its extreme challenges, like having to board an airplane from the tarmac at O’Hare airport with a knee that was completely useless, feeling so embarrassed about being the last one on the plane that I want to crawl under the seat, but, they were so nice in helping me. They brought a ramp for me to walk up and everyone on the plane played musical seats so they could give me the first seat. I think I managed a record in the airline industry in managing to make both planes over 10 minutes late in leaving, and that was WITH airline assistance. So the question I’m sure you are asking yourself is this: Would I do it again? I can answer that with three words...in a heartbeat. Having this access to doctors and researchers is unprecedented for us as rheumatology patients. It is important for us to be there because there are doctors and researchers attending who are at the top of their field of study all in the same place, and we have the opportunity to get their buy-in or continued support. Yes, it’s a little like campaigning. For me, this reinforces my belief that we as volunteers for RPF are not just volunteers, but advocates for all Rheumatoid patients. I am a patient and I am an advocate. Now, don’t get me wrong, talking to people isn’t the only thing that I enjoy about going to the ACR meetings. Being able to listen to a session also allowed me to build my knowledge about my disease. For me, knowing the “whys” behind the things going on in my disease helps me to understand where my medications come into play, why my body reacts the way it does to inflammation and pain, and what is coming down the pipeline in terms of medications and treatments. There were also over 150 exhibitors that also had some really yummy incentives to go to their booths such as shakes and coffees and who knows what else! This year, we also had the Limited Mobility Suit that allows the wearer to experience a majority of the same limitations Rheumatoid Disease causes in daily life. The only thing that was missing was the pain. While it was fun to see how the “victims” would adapt to wearing the suit, I really believe this is a great tool to help those doctors who may not quite understand what it’s like not to be able to fasten small hooks or zip zippers in clothing or hold a utensil or even be able to raise your arm to pull a shirt over your head. Last but not least, why I would go again in a heartbeat? That would be for the fun and friendship that you get from finally being with people who understand exactly what you go through on a daily basis. These are friends that once you meet them in person, your friendship is cemented forever. It took me 15 years to meet people who really understand what I go through. I have always been big on educating the people around me as to my disease and how to best help me. This is one time that I don’t have to do that and it still takes me by surprise every time someone proactively offers something to help me at the moment. You don’t have to pretend to be feeling fabulous if you hurt, but the excitement of speaking to everyone really gets those endorphins going and you don’t notice it for a moment. As you can tell, this is something I feel passionately about. 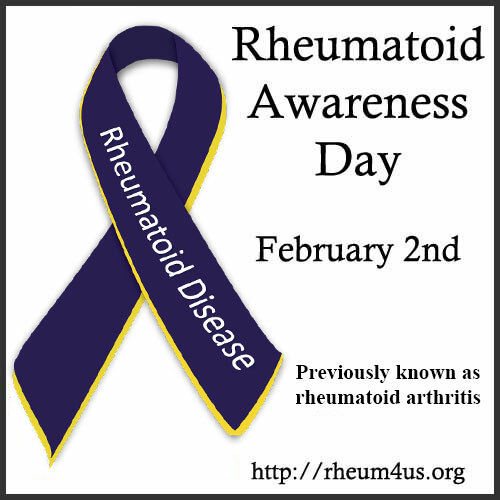 It is up to us as patient advocates to help the public truly understand Rheumatoid Disease and eventually understand it well enough that a cure is found. And don’t be afraid to get a scooter so you don’t have to miss out on any of the good stuff. Over the past three weeks I have seen daily posts on social media from family and friends enumerating blessings for which they are thankful during this month of Thanksgiving. These posts in my feed have inspired me to ponder the things in my life for which I am most thankful, as well. As in previous years, I am thankful for my family and friends. For a roof over my head and food on the table. For my sweetheart and for my gentle little dogs who keep me company. That I am still here in my 38th year. But this year I can share that I am thankful that so much work is being done by good people to find new treatments and a cure for Rheumatoid Disease, a.k.a. Rheumatoid Arthritis. 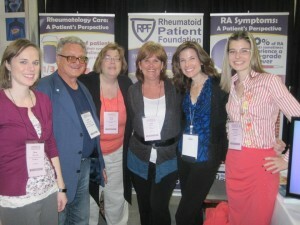 I know this because I was a volunteer last week with the Rheumatoid Patient Foundation (RPF) at the annual scientific meeting of the American College of Rheumatology (ACR) in Washington, D.C.. This was my second year helping with the RPF's booth in the exhibit hall, but was able to explore more of the meeting this year. 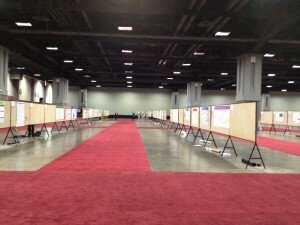 To be able to read endless posters and meet scientists representing research in rheumatology and immunology from around the world was my pleasure and privilege. 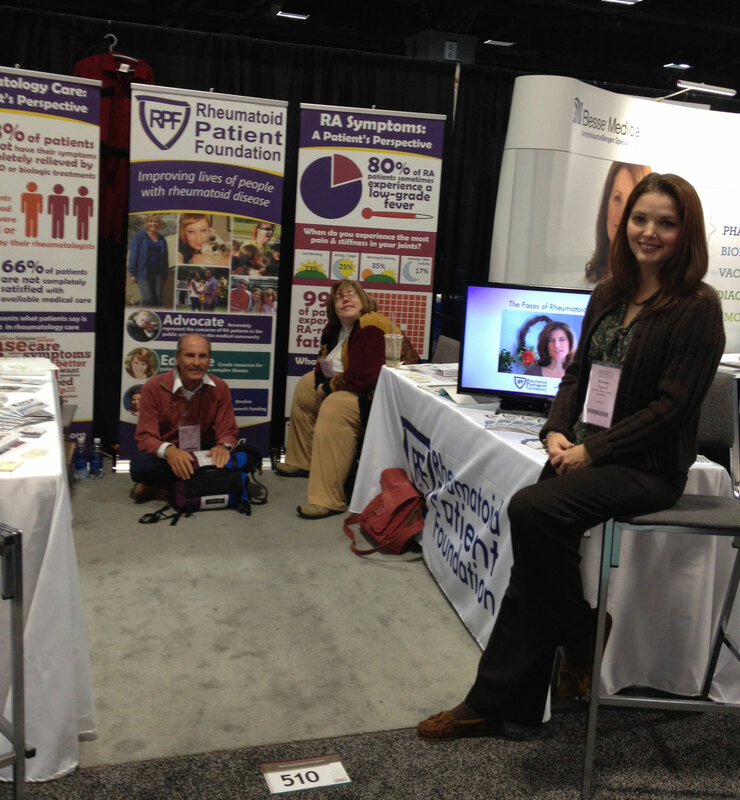 We also met many clinicians and individuals from the pharmaceutical industry and other patient advocacy organizations who stopped by our booth to find out what the RPF is all about. 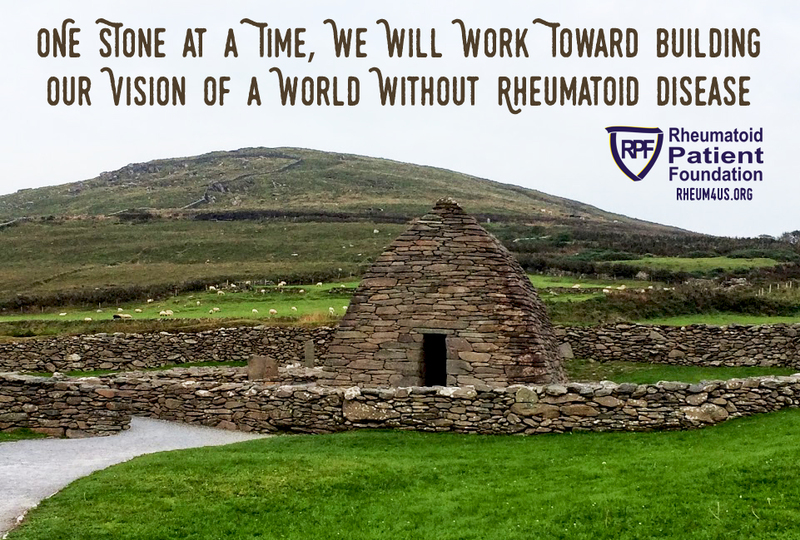 We, the Rheumatoid Patient Foundation, are proud to be an organization conceived and created by patients, for patients. We represent an open door for better communication between patients and clinicians, and between patients and researchers. 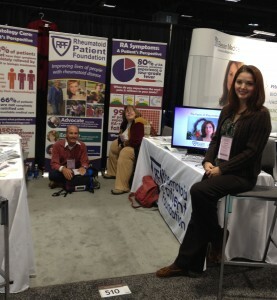 Patients yearn to be part of the solution, helping those dedicated to helping us. 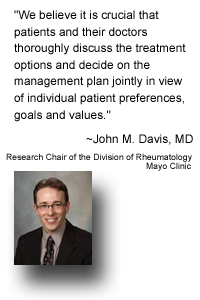 Improving lives by educating and supporting patients, and improving care for all Rheumatoid Disease patients by endorsing a patient-centered approach, is what the RPF is about. 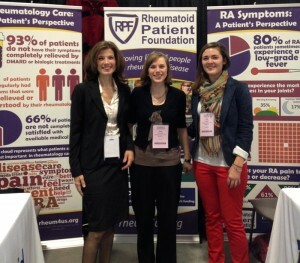 This Thanksgiving I am thankful for Kelly Young, Katie Beth Young, the RPF Board of Directors, our RPF Advisory Board, and RPF volunteers for working to give Rheumatoid Disease patients a voice. Click here to view a Photo Gallery from this year's ACR event! This week, several board members and volunteers from the Rheumatoid Patient Foundation traveled to Washington, DC for the American College of Rheumatology (ACR) Annual Scientific Meeting. The meeting is held each year over several days with scientific sessions and presentations on the latest news and research in the field of rheumatology. There is also an Exhibit Hall, where the RPF had booth space to connect with the doctors and other professionals attending the event. 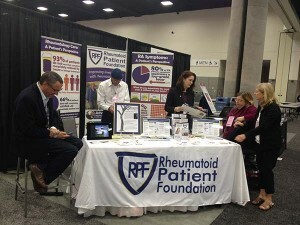 Exhibiting there gave us a chance to increase awareness of the RPF and its mission, share our resources and patient survey findings, and make connections with rheumatologists and others in the industry. 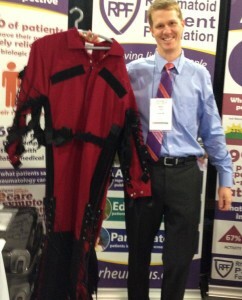 Last year, the RPF exhibited at the ACR meeting for the first time, and it was a phenomenal event. This year was just as great! Our wonderful group of volunteers consisted of several individuals in and around the DC area, as well as several people who flew in from across the country. Our volunteers were among the only rheumatology patients at the event. This allowed for some really interesting conversations with the attendees, as we were able to share insights and experiences from the patient perspective. We received a really positive response from those learning about the RPF for the first time, and it was amazing to meet with so many rheumatologists and researchers who share our goals of improving the lives of patients, improving treatment options and searching for a cure. It was likewise very encouraging to see new research focused on RA, new treatments that have become available, and a strong focus on ways for doctors to improve treatment methods and disease management. "It wasn't just that the suit was uncomfortable -- though it was -- it was the way it made the simple things difficult. Getting into and out of a chair was tricky. So was going up and down stairs, or reaching for my phone. But in some ways, I had it easy. The suit came off after less than an hour. And while my movements were restricted, they were restricted by nylon and Velcro, not pain." Our second volunteer to try on the limited mobility suit was our very own Advisory Board member, Dr. John Davis. Dr. Davis is a rheumatologist and trying on the suit gave him a unique opportunity to experience a little bit of the loss of functionality that some of his patients may have. We had Dr. Davis try to sit in a chair with stiff knees and also had him attempt to write with fingers that could not bend well. He was very gracious in allowing us to test his abilities in the suit, and his movements in many ways resembled those of rheumatoid patients with flaring knees, hands and other joints. We also got some great video footage of the limited mobility suit in action, so look for that yet to come! Many thanks to all of our volunteers who helped make our experience at ACR such a success this year! Rheumatoid Patients: Have you ever wished that your doctors, friends, or family could experience first-hand just a little bit of what it's like to live with Rheumatoid Disease? Health Professionals and Caregivers: Have you ever wondered what it really feels like to live with Rheumatoid Disease? 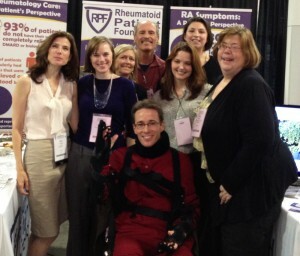 This year, at the American College of Rheumatology Annual Scientific Meeting, the Rheumatoid Patient Foundation will be providing that opportunity. At our booth in the Exhibit Hall, we will have with us a "limited mobility suit", designed specifically to mimic the limited range of motion and mobility that many patients with Rheumatoid Disease (RD) experience every day. This is a full body suit, with numerous straps that tighten to restrict joint movement. Those who live with RD know all too well the frustrations that come with limited mobility, which can make some of the most simple and routine tasks near impossible. Picking up a cup of coffee. Washing your hair. Turning your car key in the ignition. Getting out of bed. Standing up from a chair. Once strapped in to the limited mobility suit, one can experience how difficult it really can be to perform some of these tasks with stiff joints that are difficult to bend. 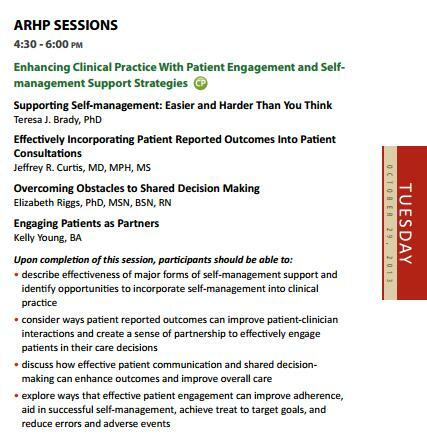 Our hope is to offer the opportunity for ACR attendees to begin to understand some of the challenges RD patients face. Just imagine adding some pain and fatigue into the mix on top of the limited mobility and it will start to paint an accurate portrait of what many patients experience. To those who are attending ACR this year, we hope that you'll stop by our booth -- #510 -- to see this in action (or try it on yourself!) and learn more about patient experiences. For the rest of you, we hope to capture some video footage of the limited mobility suit to share with you!